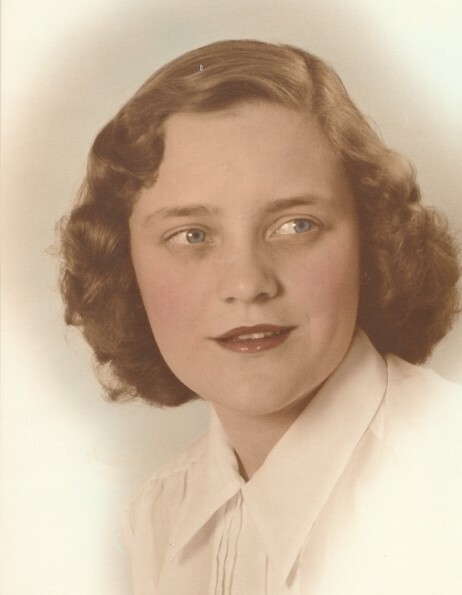 Joanne Rudd, age 82, passed away on Wednesday, March 27, 2019 at the Meadows, Swift Current, SK after a hard-fought battle with COPD. Marilyn “Joanne” Rudd was born March 16, 1937 in Brooks, AB to Oliver & Isabelle (Bailie) Ingram. Joanne married Robert “Bob” Rudd April 23, 1957. She had a passion for her family and was a loving wife and devoted mother to her five children — she volunteered, coached, and was the number one supporter at her children’s numerous activities. As they came into her life, Joanne doted on her grandchildren and great-grandchildren. Some of her favorite memories were summers at Lake Newell, camping at Cypress, and travelling with Bob. She treasured getting together with friends for coffee or white wine, and hosting supper parties. When Joanne had free time, she enjoyed knitting, painting, and reading. Joanne is survived by her husband of almost 62 years, Bob Rudd; her children and their families, Judy Rudd (Cathy and Carly), Carol (Rob) Wells (Cassandra, Megan, and Lauren), Cheryl (Dean) James (Chris, Darren, and Brian), Barry (Sandra) Rudd (Cydney and Robert), and Ken Rudd (Lindsey); her twelve great-grandchildren; her sisters, Sharon (Floyd) Anderson and Beth (Bryan) French; her sister-in-law, Joyce Rudd; and by numerous nieces and nephews. “Wherever a beautiful soul has been, there is a trail of beautiful memories.” (Anonymous) The family would like to give special thanks to Dr. Cuthbert, Dr. Khonje, Dr. Delvicario, Dr. Sonntag, and the staff who cared for Joanne at the Cypress Regional Hospital and Clover House. A private family memorial will be held at a later date. In lieu of flowers and in memory of Joanne Rudd, a donation to a charity of the donor’s choice would be appreciated by the family.